"I'm not bitter... I just feel sort of numb in here." Another workday at one of the common restaurants in New York; waitress Helen (Irene) and her co-workers are busy with lunch hour. The girls are a little bit nervous because of an Union meeting in the evening and a possible upcoming strike. Helen - herself left-wing oriented - tries to calm them down. 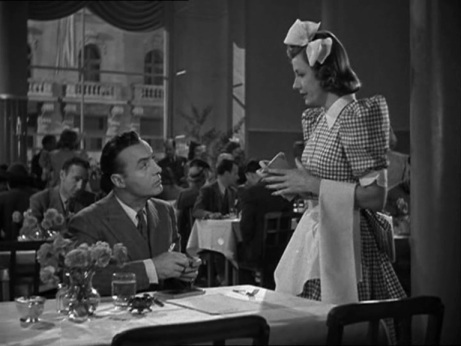 One of the diners that day is Frenchman Philip (Charles Boyer) who immediately attracted to Helen follows her to the Union meeting. 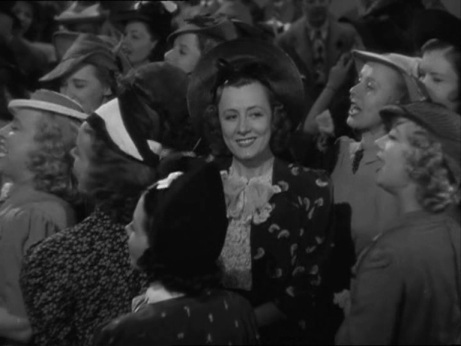 Helen speaks at the gathering, and manages to convince the other waitresses to strike. 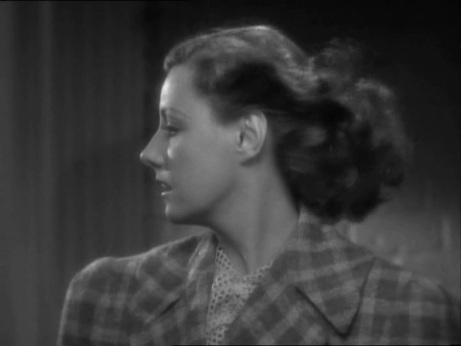 Philip introducing himself simply as a pianist - Helen assumes that he plays somewhere in a bar and has a similar background like herself - walks Helen home, and persuades her to jaunt with him the next day. The trip starts nicely and comfortably on a boat with a picnic lunch from the Ritz but soon a storm comes up and the couple is forced to take refuge in Philip's Long Island house. 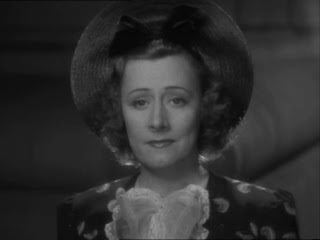 Helen quickly discovers that Philip is not only the wealthy owner of this mansion but the famous pianist Philip Andre Chagal - and, well, he is married. 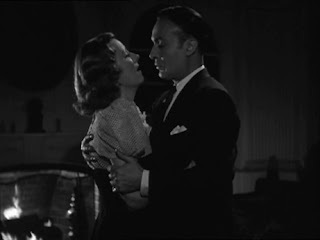 Despite the hurricane outside and the seductive fireplace atmosphere inside, Helen begs Philip to drive her back to town , after he kissed her. Okay, I admit my recount of this storyline is a little bit flippant, but when I first watched this film I felt dissapointed and this feeling still lingers on. What a waste of talent and opportunities! 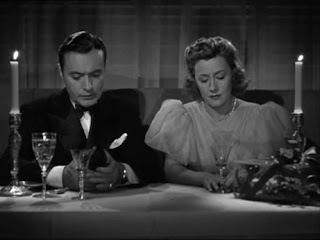 "When Tomorrow Comes" was based on an unpublished story by James M. Cain, and after I read the not until 1951 published novel, I assume that Cain was the reason why this movie starts so promising. Irene as a waitress with communist leanings, delivering a rousing speech at an Union meeting is an interesting change of path for her; and Charles Boyer as leading man and John M. Stahl as director - how exciting! My expectations were fulfilled in the first 40 minutes and then a storm comes up and in a jiffy I end up with a drab love story at my hands. Why didn't they stick to "The Modern Cinderella" - so the working title - story? The exit of the Cinderella still could have worked if the love story which uses all kind of dramatic situations as aids - storm, water, toppling trees, and even a mental case - wouldn't hesitate every time drama really tries to take its toll. For instance, this scenery in the church - our protagonists just narrowly escaped death, water is streaming into their shelter, and they start talking about the end of the world... their love is anyway ill-starred, maybe they are facing death, one way or the other those are their last hours together, and all they can think about is taking a nap?? Of course, Irene making herself comfortable on/at Charles is nice to watch, but after I schlepped through this scenery of elementary forces I am in the mood for some drama or let's just say some heart-to-heart talk. I'm defenitely not in for a snooze, especially not with Irene and Charles around! The story as a whole is so patchy, as if different writers wrote each one scene only vaguely telling each other what happened beforehand. When the nutty wife turned up, I knew I would not even get a happy end. 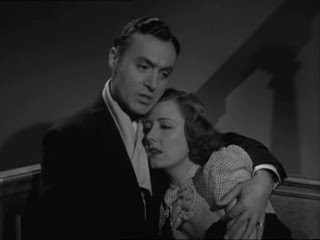 Old Hollywood husbands plain and simple don't leave their psychologically unstable wives. This is sort of reassuring - at least for the deranged females - but Philip's Missis seems to be of the dangerous kind. 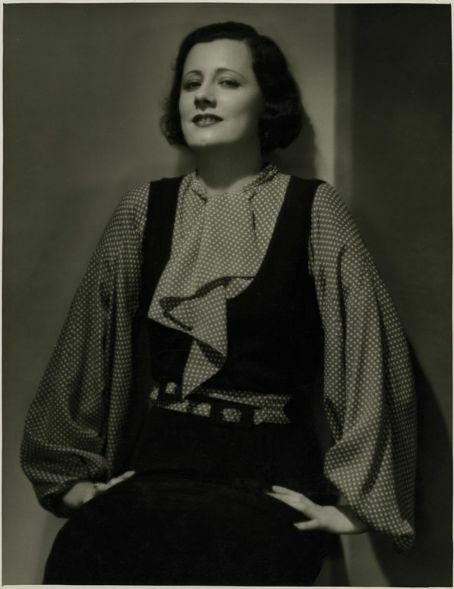 In the scene with Helen Madeline comes across as manipulative and creepy. What is she going to do next? Burn the house down?? Barbara O'Neil played her so spookily, that she managed to distract me from Irene - and this is really something! Naturally, my lament is complaining on a high level. Everything but this uneven story is beautiful. Irene and Charles Boyer create together a glowing onscreen presence as if they'd increase each other, and director John M. Stahl obviously knew what he was doing. 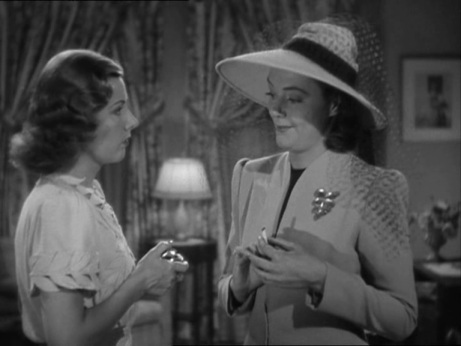 Especially the beginning - I admire how we "walk" into the story - and the last minutes - a wonderful example of Dunne/Boyer underacting - are outstanding. JH: But you didn't enjoy making When Tomorrow Comes, the Stahl film with Boyer? ID: No, I didn't. It's quite a nice way I have, isn't it, of blocking things out I don't like to remember?... I only remember one scene in that film... we were caught in a storm -- in a church choir? JH: Yes, it's a strange scene. ID: And he was a pianist -- or I was? ID: Yes, I remember him sitting at the piano... and was I a waitress? JH: Yes, you were a waitress. ID: I remember those early scenes, yes. ID: (softly) I can't imagine that I was good in that. ID: Well... I don't know. I didn't like it. JH: And even working with Boyer didn't help? JH: Did he dislike it, too? There's no doubt that we all see things differently. To me this is a precious movie, almost as beautiful as Love Affair, it's pure magic, it's perfect, I adore the story, the plot, the lines, everything (except the ending). gosh Susanne, don't make it sound so bad. Okay, it's your opinion. But I'm truly amazed. It's such a lovely film. Of course there are some drawbacks considering the magic Love Affair before. But it's still entertaining and enjoyable. Every new fan of Irene should watch it... personally till now I didn't know any fan who doesn't like the film. Didn't love the ending, but it seemed realistic-and at first, I thought the wife was going to dive out of Irene's window, to make way for a happy ending! Thanks to you, I'm glad I watched this, because although lesser known perhaps, I really enjoyed this movie! Thanks, Susanne!